Fall football is in full swing and Highlander’s attention turns to both college and professional teams on television. 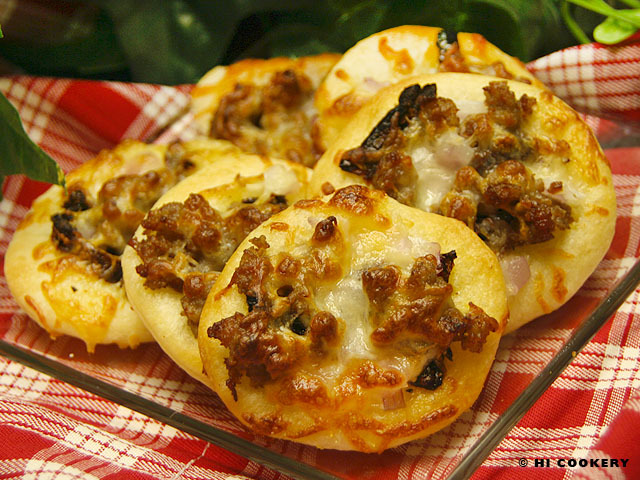 Transforming junk food into game day gourmet, Islander would sometimes make mini (instead of man-sized) pizzas for him to snack on while he watches the sport. We have made mini pepperoni pizzas before but have substituted sausage for the topping today in observance of National Sausage Pizza Day and National Pizza Month. Unroll pizza dough onto a lightly floured surface. 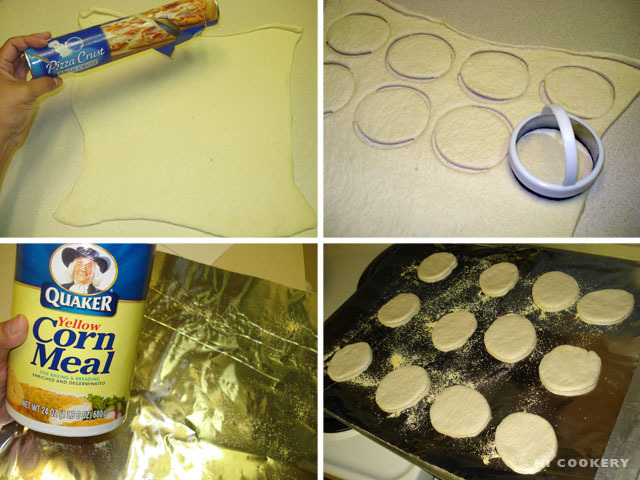 Cut out circles using a 3-inch round cookie cutter. Lightly grease a baking sheet and sprinkle with a little corn meal. Place the circles onto the sheet. Set aside. In a skillet, brown the sausage. Drain any grease and set aside. Chop the onions. 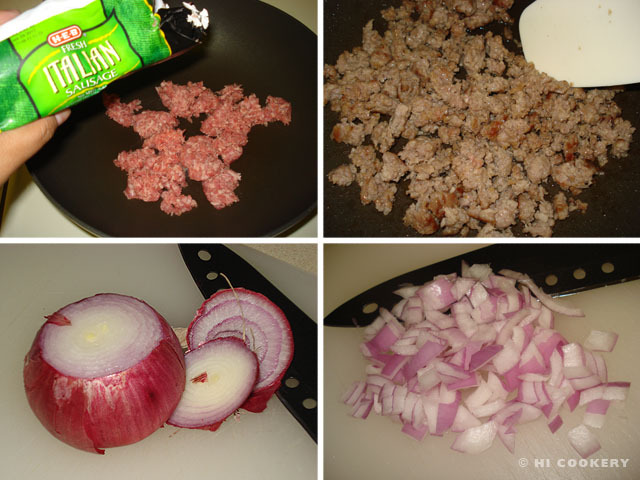 In a cup or ramekin, mix the minced garlic with the olive oil and infuse the flavors for five minutes. Brush the top of each circle with the oil mixture. 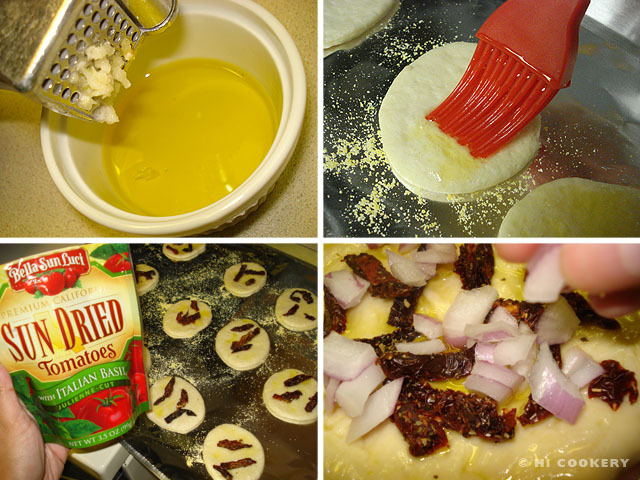 Sprinkle the sun dried tomato slivers and onions on top of the circles. 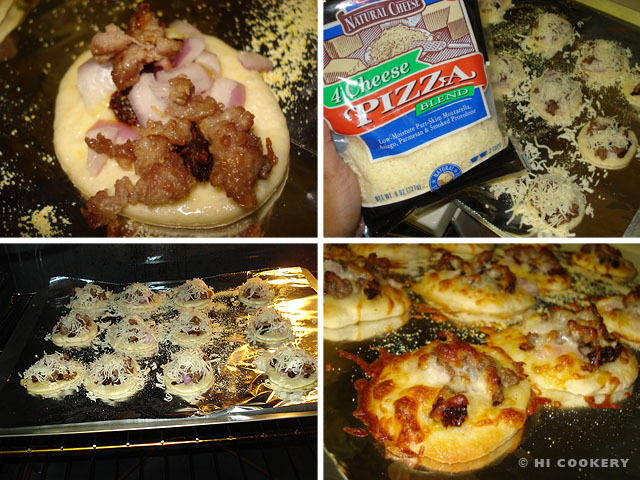 Sprinkle the cooked Italian sausage and shredded pizza cheese on top of the circles. Bake in a preheated oven at 450 degrees for 7-8 minutes until the bottoms are crisp and golden and the cheese is melted. Remove from the oven and serve hot. Instead of the garlic-olive oil mixture, spread tomato sauce on the mini pizza dough before topping with other ingredients and baking.